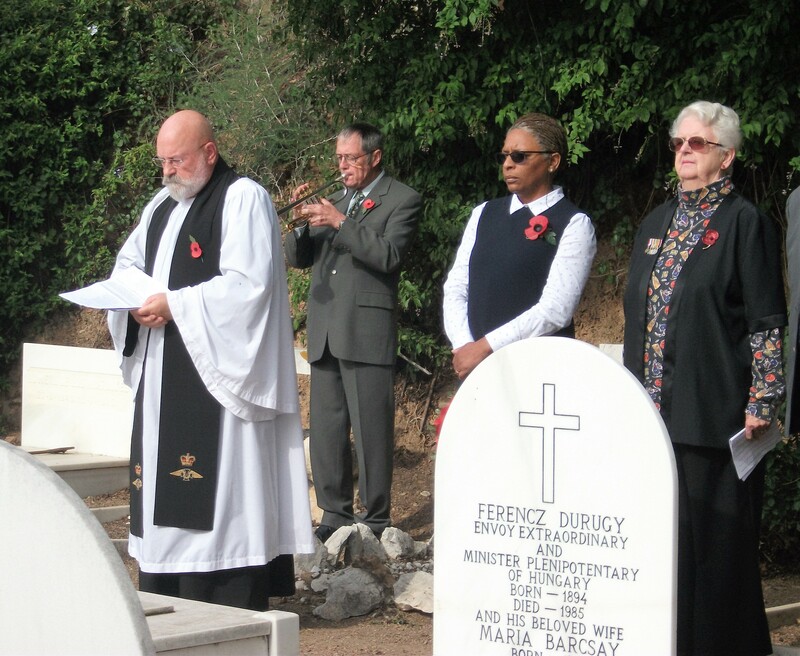 On Sunday, 13th November, a Service of Remembrance was held at St George´s Anglican Church in Malaga to honour those lost in both World Wars and more recent conflicts. 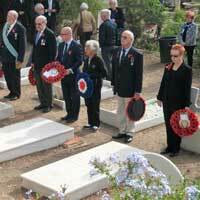 The service was planned and organised by Reg Haywood of the RAF Association, Costa del Sol Branch. 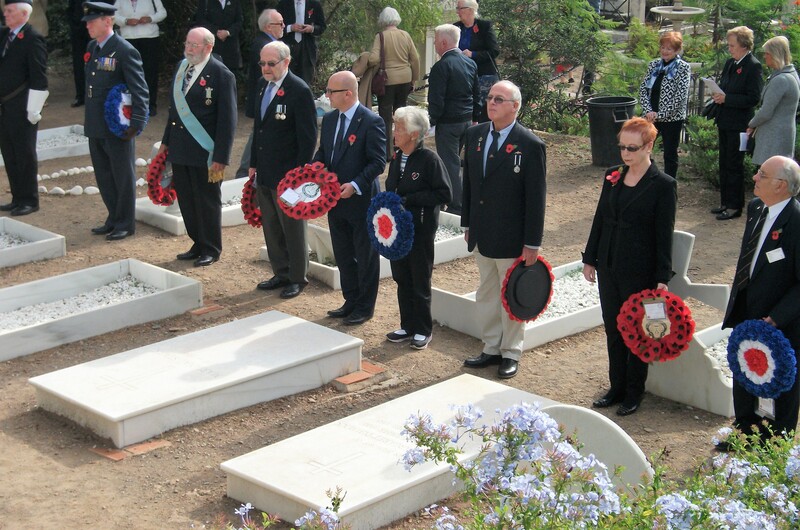 In attendance were the British Consul, Charmaine Arbouin, Squadron Leader David Tucker of the Royal Air Force, members of the RAF Association, the Royal British Legion and people from the local community. 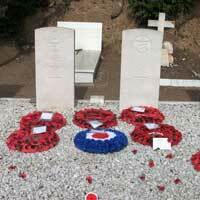 The presiding priest was The Reverend William Mounsey who is chaplain to the Royal Air Forces Association. 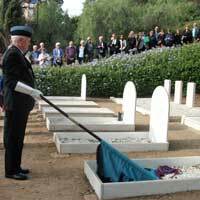 After the church service the congregation gathered at the military war graves for an Act of Remembrance. 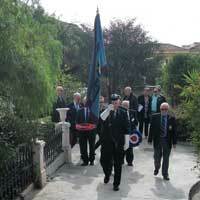 The Standard of the Costa del Sol Branch of the RAF Association, carried by Phil Ridgeway who led the procession. 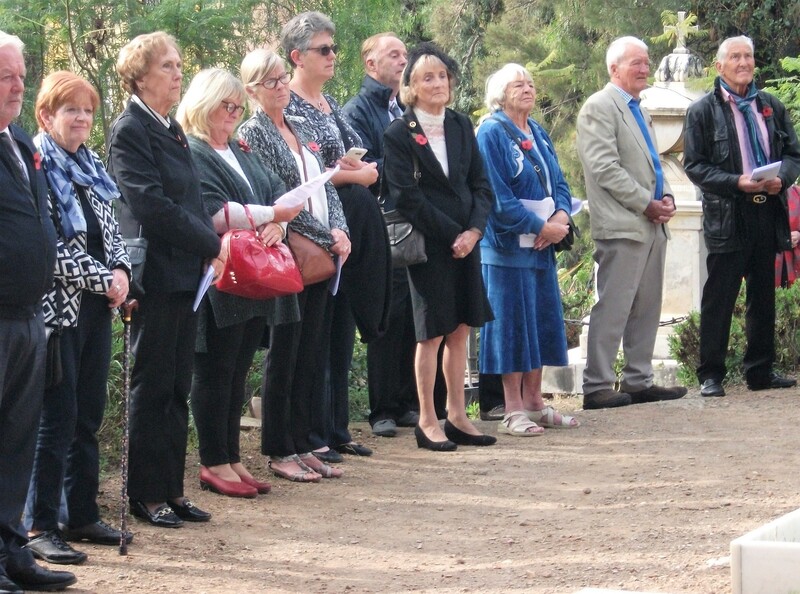 Mary Le Corney read the RBL Exhortation and the last post was played by Ian Spellar followed by two minutes silence. 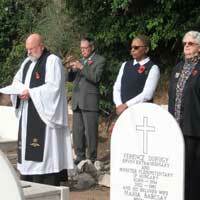 The poem 'In Flanders Field' was read by Brian Martin, RAFA. 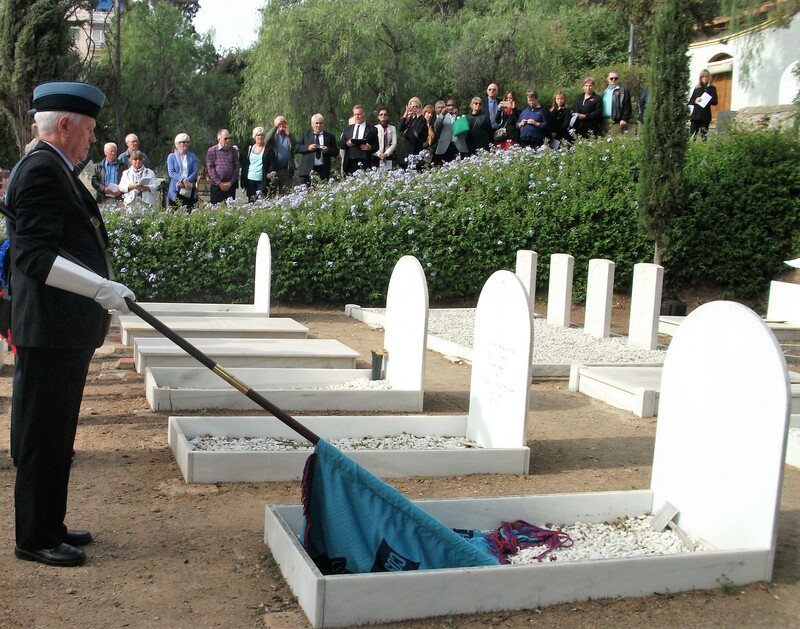 Wreath laying at the war graves commenced with the first being laid by the British Consul on behalf of the Queen followed by Squadron Leader David Tucker on behalf of the Royal Air Force. 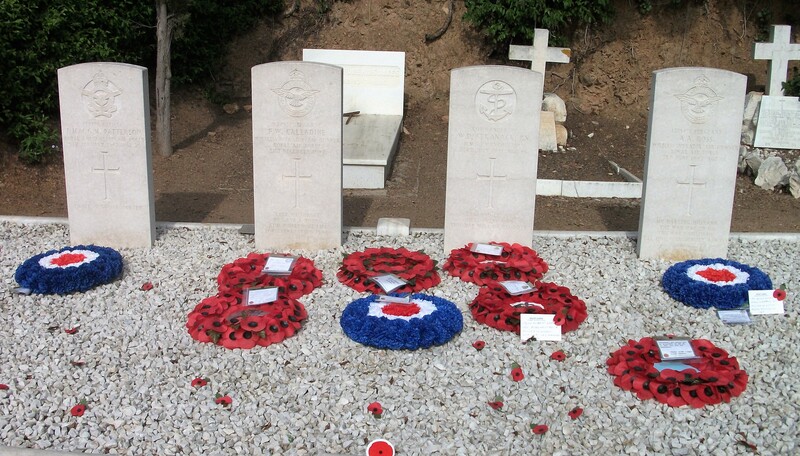 There followed several wreaths representing The English Cemetery, the RAF Association, Costa del Sol Branch, the Royal Navy, the Royal British Legion, the Royal Naval Association, Almunecar and the RAOB. After the wreath laying Brian Martin, RAFA read The poem 'The Victory Emblem' followed by the Citations of the RBL, RNA and RAFA read by Mary Le Corney, Simon Johnson and Brian Martin respectively. For your tomorrow we gave our today'. 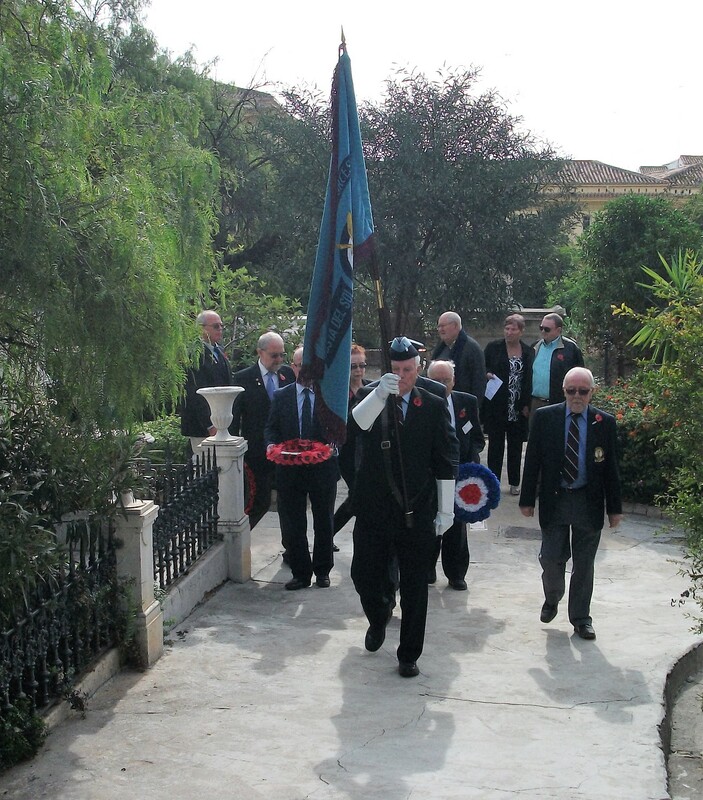 The Act of Remembrance was followed by refreshments served in front of the church provided by the Costa del Sol Branch of RAF Association. Thanks goes to those responsible for the splendid buffet and to those volunteers who served them. 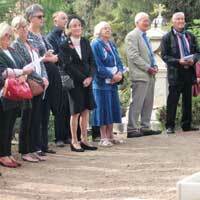 Donations were invited and the proceeds were divided between St George´s Church and the English Cemetery Foundation.